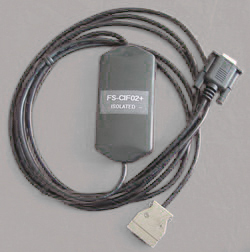 FS-CN226+:optoelectronic isolated FS-CN226 cable,3 meters,with communication indicator. 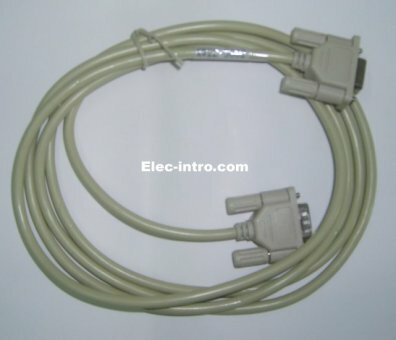 FS-CN226 + programming cable is the conversion cable from RS232 to Omron PLC peripherals interface, the model for the corresponding Omron is CS1W-CN226 (non-isolated). The difference between Omron’s CS1W-CN226 and this product is this product has photoelectric isolation and a built-in anti-static, surge and other transient over-voltage protection circuitry, which can be inserted but not charged any damage to PLC communications mouth. This product’s RS232 port can be extended to 100 meters, especially for connecting PLC and touch screen and industrial-site monitoring. FS-CN226 + directly connecting to Omron CS / CJ, CQM1H and CPM2C series PLC can avoid the trouble of the use of FS-CIF02 + requiring CS1W-CN114 adaptor. For connecting CQM1, CPM1, CPM1A, CPM2A, CPM2AH, C200HS, C200HX/HG/HE and SRM1 series PLC, please choose FS-CIF02 + programming cable. To the occasions where the communication distance can be over 100 meters of occasions, please choose RS485/422 peripheral products, model: FS-CIF13, the communication distance is up to 2km.